Gift Ngoepe (pronounced Ngoepe) could open new potential talent in Africa for the future. Meanwhile ESPN’s influence on baseball was great but could be done. And I cover the 1981 Reds, another team that should have won. It is a world wide episode of Sully Baseball. Tags: baseball, espn, Gift Ngoepe, mlb, Paul Francis Sullivan, pirates, Sully Baseball, sully baseball on sound cloud, Sully Baseball Podcast. Standing outside the gate at ESPN, I think about how the network changed what we feel we are entitled to as sports fans. It is a “world wide leader” episode of The Sully Baseball Daily Podcast. Danny Espinosa, Kendrys Morales. Kenta Maeda, Carlos Carrasco, R. A. Dickey, Hyun Soo Kim, Javier Baez and Mike Leake all added to their totals for Who Owns Baseball yesterday. Episode 1,300. Another milestone. I wonder how long this will go. Time for a Sunday Request. 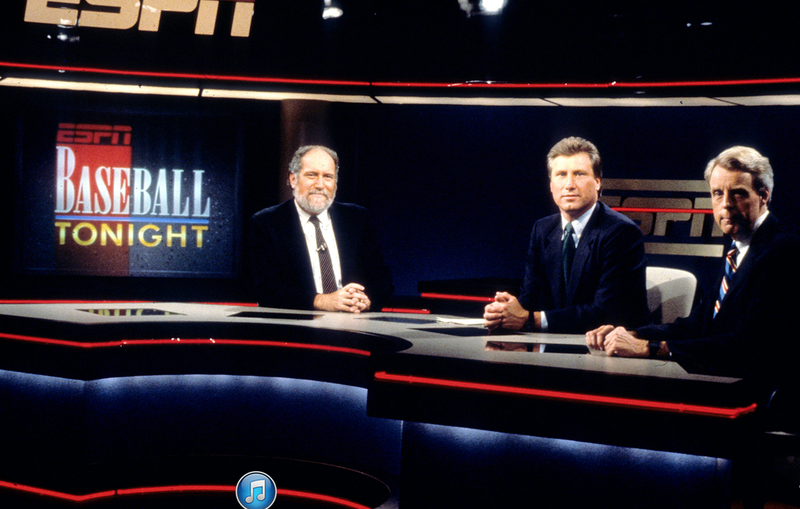 ESPN is part of the previous era of sports broadcasting and hanging on. They will go to the most eyeballs. It is Disney. They are in the Superhero business. It is a savor the moment and move on episode of The Sully Baseball Daily Podcast. David Ortiz, Melvin Upton Jr. Matt Andriese, Jake Arrieta, Jose Quintana, Adam Lind and Kirk Nieuwenhuis all added to their totals for Who Owns Baseball yesterday. It IS admirable and using both Olney’s statistics and my own, I intend to show you exactly why their drive to contend has not only been successful but beyond that, that most team’s in their situation would not or choose not to try to compete. Instead they tank and have a long stretch of terrible years – only to reemerge with a lot of high draft picks who are ready for the big leagues. It reminded me a lot of a similar piece that I wrote for Today’s Knuckleball that talked about how the A’s had their own unique way of “rebuilding.” It went on to explore how they’ve been able to maintain a high level of competitiveness despite having one of the league’s lowest payrolls and having to be creative in creating platoons that will put up similar numbers to those exhibited by the big name free agents that they cannot afford. Dan Szymborski, ESPN writer, continued our conversation about the off season and how bewildering Rockies and Padres off season. It is a mystery in the Rocky Mountains episode of The Sully Baseball Daily Podcast. Follow Dan on Twitter by clicking HERE. Part one of my conversation with Dan HERE. ESPN’s Dan Szymborski is my guest today. 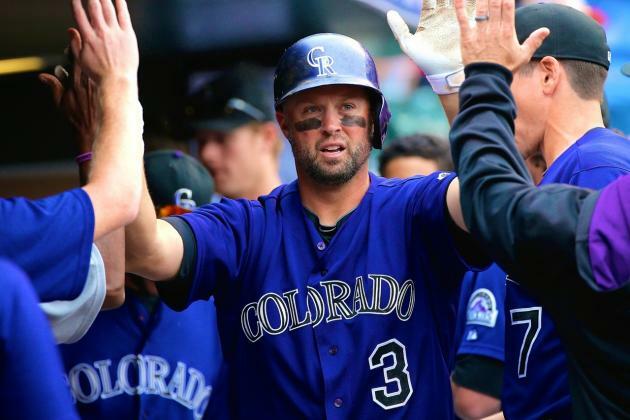 We discussed which teams are having a good off season, who is not, why the Royals are blowing a once in a lifetime chance and of course the bizarre Michael Cuddyer signing by the Mets. It is a projection episode of The Sully Baseball Daily Podcast. My 183 Day/30 MLB Park Trip Will Be About 229 Games. Two-Thirds of the teams have complied, and I am seeing about 44 – 50 Doubleheader Attempts for the calendar season. From the season opener at Wrigley Field, I will be there… I am attending about 17 – 20 games on the North Side Of Chicago, and many of them will couple a game at Miller Park right afterwards. Since my brother lives in Philadelphia, and is the hub for doublheaders on the Eastern Seaboard, I will see the most games there out of any other park. I contemplated basing out of Seattle, but it is just too far away from other parks. I will still see about 20 games there next season. I plan on seeing the Nationals in about 12 different road parks.. I have been waiting as patiently as I can for the 2015 time starts for the upcoming MLB season. It all started coming together when Wrigley Field was announced as the 2015 campaign opener. I knew where I was going to start my quest of attending a game for every day in the 2015 year. A lot of teams have put forth their start times for most games already, and even the Mets, Yankees and A’s are smart enough to have single game ticket sales up before Christmas holidays for 2015. Scouring the June and July itinerary of games (for another ballpark chaser’s potential 30 Games in 30 Days via a ground trip) I started to see some Doubleheaders arise in the time frame of June 10 – July 4th time frame. This is nothing new to me, as I have been scouting out Doubleheader possibilities since 2007. What was starting to take form is a sweetheart list of potential opportunities of 2 games in one day. Now not every club has specified their start times. 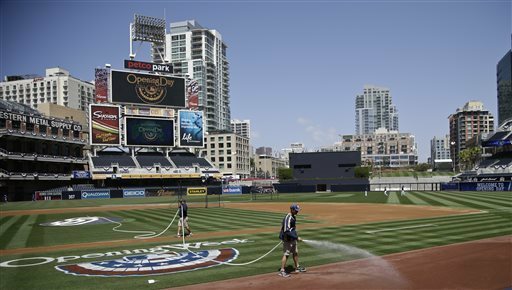 Teams like the Royals, Indians, Marlins, Astros, Padres, Angels and White Sox have yet to publish any game times this far. But from the games that are put in at this point, it is looking like I will have a streak chase to trek down my own World Record of 30 parks in 23 days set in 2012. 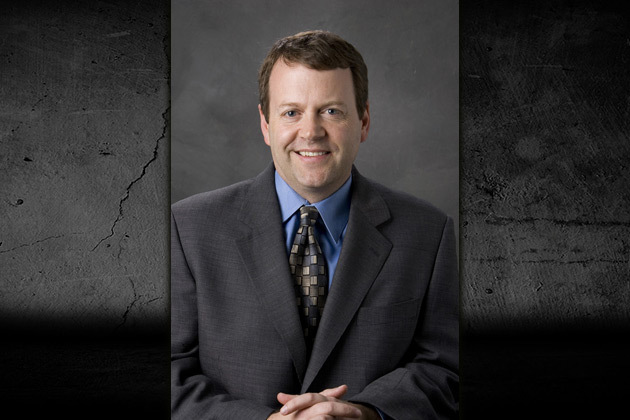 Buster Olney wants to take a stand on the Hall of Fame vote. Really? Just cast a vote or not. It isn’t a brave stance. Plus why you should be glad I’m NOT Jon Lester. Chris Tillman, Madison Bumgarner, Hunter Pence, David Murphy, Hisashi Iwakuma, Cole Hamels, Josh Reddick and Jason Heyward all added to their totals for Who Owns Baseball? Andrew McCutchen, Jason Castro, Wade Miley, Hisashi Iwakuma, Charlie Blackmon, Ian Kennedy, Jake Peavy andBilly Butler all added to their totals for Who Owns Baseball? Today on The Sully Baseball Daily Podcast, I chatted with ESPN Insider writer and the creator of ZiPS, Dan Szymborski. 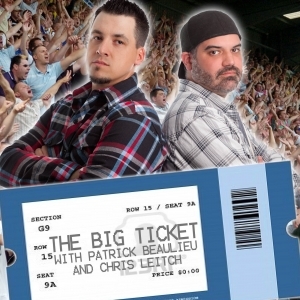 We talked about internet arguments, why fans will learn the wrong lesson from the 2013 Red Sox, predicted which teams would go on ill advised spending sprees and other topics. 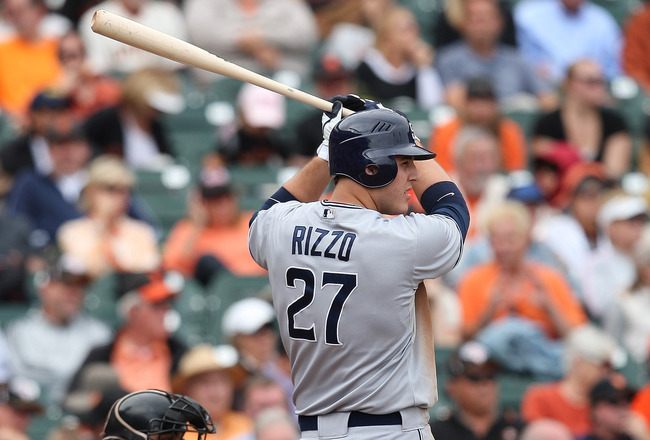 One winter ago, Chicago Cubs President of Baseball Operations Theo Epstein and General Manager Jed Hoyer acquired First Baseman Anthony Rizzo from the San Diego Padres in exchange for hard-throwing Right-Hander Andrew Cashner, one of the Cubs’ top pitching prospects at the time. 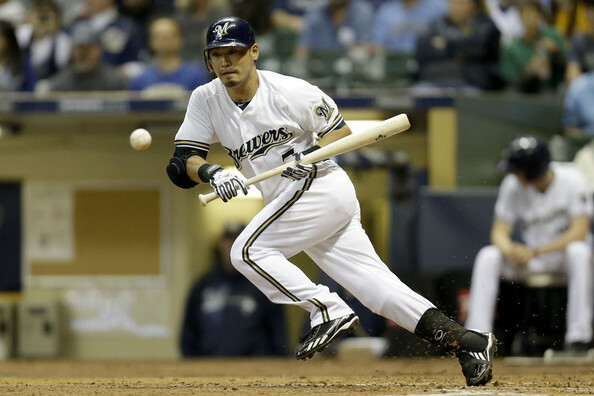 Norichika Aoki entered 2012 as the 4th Outfielder in Milwaukee. By the time the season ended, Aoki was the 27th ranked outfielder on ESPN’s Fantasy Baseball Player Rater. It’s not very often a player with no minor league experience makes the kind of impact Aoki did in his first season. In 2013, Aoki will need to replicate his numbers from last year in order to stay as a top 30 outfielder in fantasy baseball. With his rare combination of speed, runs, and to a lesser extent power, Aoki has the tools to repeat his success again in 2013. John Burns: The season for the reigning World Champions the St. Louis Cardinals has been one filled with surprises. With one of the biggest surprises being long time Cardinal Albert Pujols leaving the franchise to sign with the Los Angeles Angels. In an attempt to replace Pujols, the Cardinals re-signed veteran outfielder Carlos Beltran. Although Beltran is not Albert Pujols, he is having a very good season for St. Louis with 28 HRs and 86 RBI. Nobody expected Beltran to play this well and basically be matching Pujols numbers. As of September 1st, the Cardinals have a 72-61 record and are in possession of the second NL Wild Card Spot. We all know the story of the Cardinals last year when they got hot and never looked back-until they were holding up the World Series trophy. They are in a very similar situation this year, (as they were last year) by being in the hunt for a Wild Card spot. 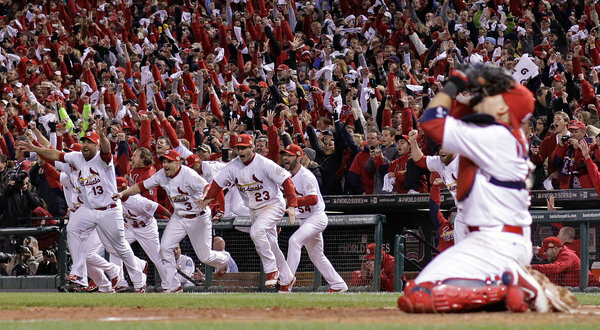 This year’s Cardinals squad is not the same as the 2011 World Series team version. With Tony La Russa, Chris Carpenter, Lance Berkman, and Albert Pujols all gone or injured, the Cards have a different look. All three of those players played a major significance in the Cards winning the World Series in 2011. Sam Evans: By trading Carl Crawford, Adrian Gonzalez, and Josh Beckett, the Red Sox created a lot of salary cap space for the upcoming season. With outfielder Josh Hamilton set to become a free agent after this year, the Red Sox will definitely have interest in this five-time All Star. It is unclear how much teams will be willing to pay for this troubled slugger, but the Red Sox will be able to make the highest offer on Hamilton if they want to. 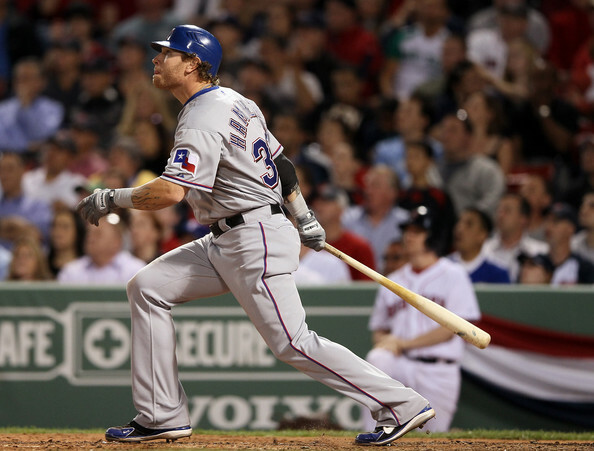 Should the Red Sox go after Josh Hamilton? Keep reading to find out. Boston currently has Jacoby Ellsbury as their only outfielder set in stone for next season. With no outfield prospects ready to make an impact next season, the Red Sox will definitely look to free agency for their next outfielder. Melky Cabrera, Shane Victorino, and B.J. Upton are some of the more attractive options out on the market. Cabrera could make sense for Boston, but it is improbable he will get more than a three-year contract. This season, Josh Hamilton is hitting .293/.358/.583 with thirty-three homers in 130 games. 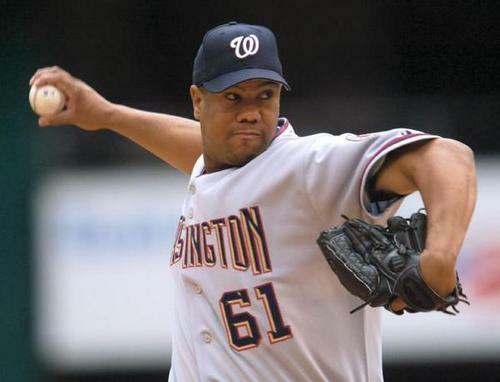 His career wRC+ of 136 rivals that of Vladimir Guerrero, Carlos Delgado, and Will Clark, among others. Hamilton’s power/batting average this season is certainly impressive, but according to ESPN’s Hit Tracker, ten of Hamilton’s home runs have been “just enough”. That’s tied for fourth-most in the majors. One has to wonder if Hamilton would put up the same kind of numbers playing away from the hitter’s haven that is the Ballpark in Arlington. 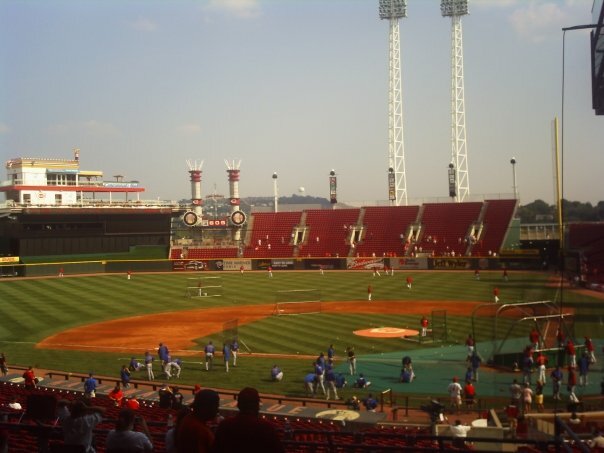 Doug Booth- Baseball Writer: Gone are the days when baseball teams deliberately schedule two games in one stadium like teams used to do in past generations. If there is not a postponed game for the duration of your team’s schedule, you will not even have this occurrence. I am here to tell that modern-day traveling has opened up possibilities for two games in one day for separate cities like never before. For the extreme ballpark chasers, nothing is more exciting for a baseball fan when Major League Baseball posts the new season’s calendar. Usually the brass does this in mid-September. Across the world, ballpark goers mark their favorite teams mapped out schedule. 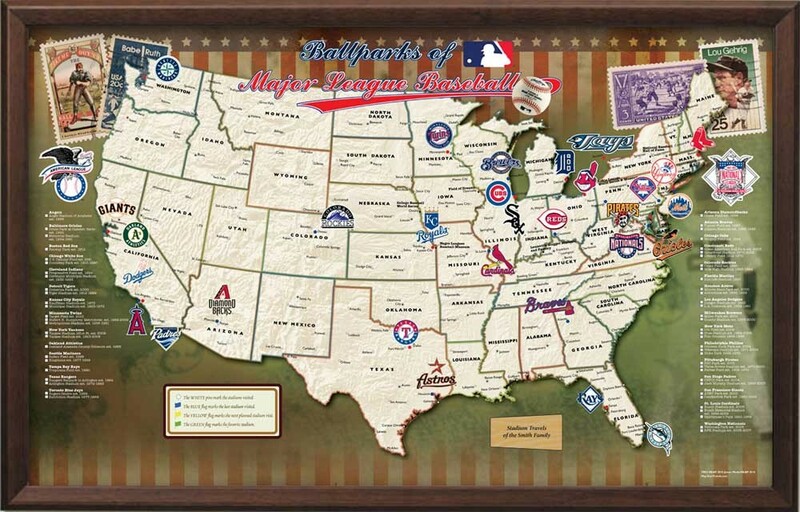 A lot of fans check off what new or old baseball parks they want to visit in the next season. Plans formulate with a heavy thought to their own planned vacation time. For the most hard-core baseball fan, their whole lives revolve around this process. Posting the schedule mind you, is only part one of the process. The baseball teams that are the smartest, post the starting times of the games as soon as possible, while some of the teams hold off releasing this information based for a multitude of reasons. There are a few baseball venues that are multi-purpose, or that factor in some big revenue streams that may affect the stadium availability. By the time the end of January rolls around, ninety percent of the starting times are posted. The ESPN Sunday Night Schedule is pretty much complete, except for the summer that based on a flex schedule. As of today, all of the teams have posted their starting times for the 2012 season except for the Cleveland Indians. This gives the extreme baseball enthusiast the chance to mark down all possible doubleheader attempts for the year. 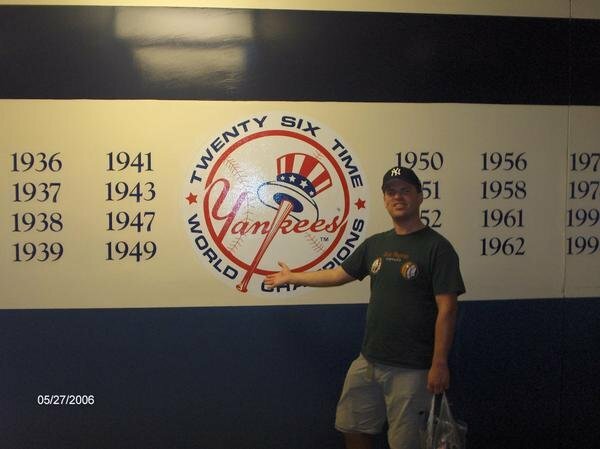 When I failed my first two bids for the Guinness Book of World Records (for visiting all of the stadiums in the least amount of days), I had to research all possible doubleheader partners to match up. In the off-season before I broke the record, I spent days punching in all scenarios for each ball club. I investigated all forms of travel methods despite costs. There are some people that like to hammer out the most games conceivable in the least amount of days. I for one, have a job where I pay a surcharge daily for someone to run my business while I go vacation, so each day is important. There are people that downplay my philosophy, this I do understand. I would never suggest that someone rush their first visit to a stadium, or even a baseball city for that matter, but once you have been to the park and city before then I implore you to park hop like a veteran. Minnesota Twins at Target Field Morning game/Chicago White Sox at Us Cellular Field Night Game. This was a successful bid as I used the #55 Hiwatha Train Line in Minnesota to my advantage, this was in conjunction with MSP Airport. When I landed back in Chicago, I paid $65 for a sedan service ride to the park. Philadelphia Phillies at Citizens Bank Ballpark Day Game/New York Yankees at Old Yankees Stadium for the Sunday Night ESPN 8 PM Eastern start. 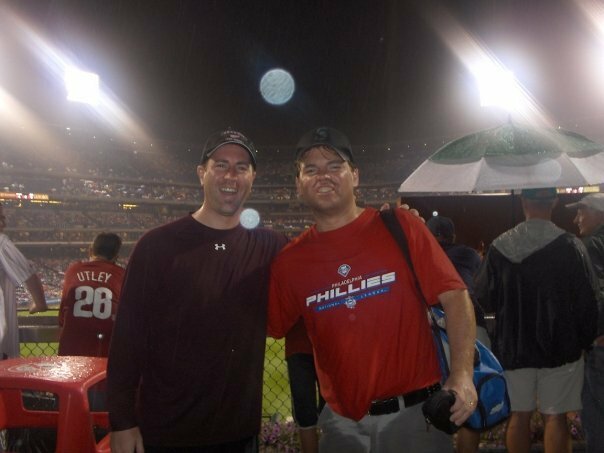 This doubleheader was foiled to lengthy rain delays in Philly. 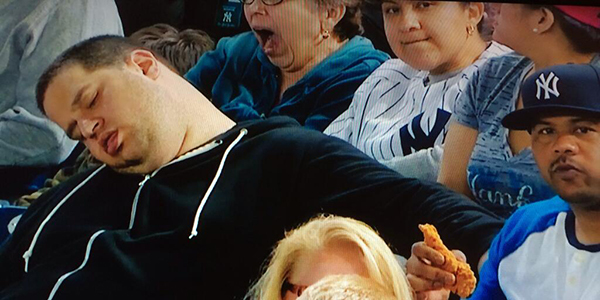 The game was not aided by extra innings either. The logistics of this trip are still good. There is an Amtrak station about 6 miles from CBP, where you can catch a train ride that is 90 minutes long. From there you take the subway all the way to Yankees Stadium from Penn Station. San Diego Padres at Petco Park day game/Los Angeles Dodgers at Dodger Stadium. Another doubleheader perfectly executed. Any of the Angels, Dodger and Padres attempts are possible. The only drawback is that you might hit a crazy traffic jam at any point. Detroit Tigers at Comerica Park day game/Cleveland Indians at Progressive Field. This doubleheader looked great to try until Todd ‘The Hammer’ Jones blew a save for me causing an extra 90 minutes to the game. Had it ended at 4PM, I would have had 3 hours to drive 168 miles to Cleveland to complete the DH. Chicago Cubs at Wrigley Field day game/Milwaukee Brewers at Miller Park night game. 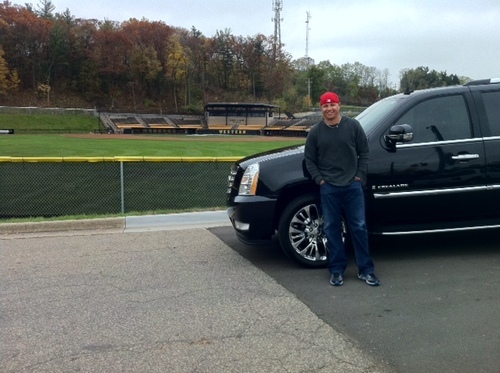 At the advice of a front office Cubs executive, I learned that driving was definitely not the way to go. After much research, I came up with the Amtrak maneuver. The game at Wrigley ended at 3:45. I used a sedan service to take me to Chicago Union Station for $50. This was a great alternative as I saved $20 on parking alone. I took a 5:10 Train that left me at Milwaukee Airport at 6:28 PM. I then drove the 20 minutes to the park. Washington Nationals at Nationals Park day game/New York Mets at Shea Stadium night game. I used another Sunday Night game to complete this doubleheader. This trek looked like it was going to fail a few times. Again I used a sedan service to Ronald Regan Airport. The flight at DCA was at 6:00 PM, and landed at Lu Guardia Airport at 7:17, giving me 45 minutes to make the 3 mile journey to Citi Field. Mission accomplished. Tampa Bay Rays at Tropicana Field day game/Florida Marlins at Dolphin Stadium night game. The 12 PM start at the ‘Trop’ was well received by yours truly. I nailed this attempt after foregoing the pre-paid sedan service. I used a cab instead because the sedan service was late. I made a 4:50 flight in Tampa/arriving at Miami International Airport at 5:50. It was easy enough to make the drive to Dolphin Stadium via rental car. Oakland Athletics at McaFee Coliseum day game/San Francisco Giants at AT&T Park. The easiest doubleheader completion as there is only a bridge and 15 miles between the two cities. Houston Astros at Minute Maid Park day game/Texas Rangers at The Ball Park in Arlington night game. The execution was perfect, using a sedan service I was at the airport in Houston for a 5:30 flight/arriving at DFW at 6:34. From there I would have had 30 minutes for what was a 15 minute drive on a Sunday night. Pittsburgh Pirates at PNC Park day game/Detroit Tigers at Comerica Park night game. A poorly trained sedan drive missed my proper meeting point, this delayed me 30 minutes. The plan was a 5:15 flight out of Pittsburgh that arrived in Detroit at 6:28. A sedan driver would have given me a shot to make this game with about a 30 minute ride to the park. I completed a Wrigley Field/Miller Park doubleheader driving. The Amtrak option was ruled out because of construction delays. I braved the elements of the road. I sprinted from the parking lot at Miller to walk through the doors with 3 minutes to spare. Toronto Blue Jays at The Rogers Center day game/New York Yankees at New Yankees Stadium night game. I lucked out on this for several factors: There was a rain delay at the park in Yankees Stadium. I made my flight from Toronto by using my Fast Pass International Security Clearance for passengers and a sedan service only to be in weather delay at the airport. 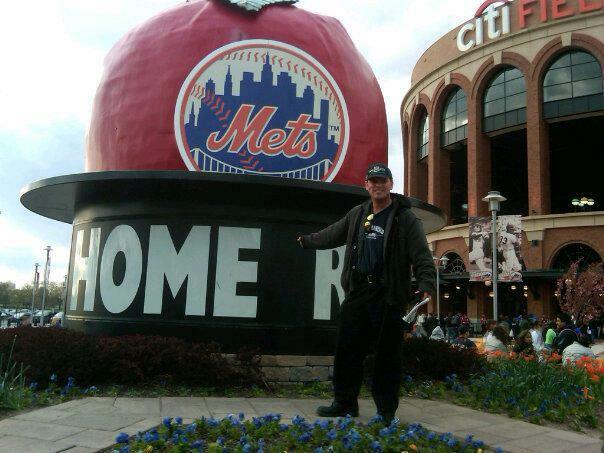 Once I arrived in New York, my sedan driver at LGA did not even know where Yankees Stadium was! I walked into the stadium at 8:15 PM. The games started at 9:40 PM. Had all of it worked out with proper weather, I would have missed this attempt. I would not try this again for a weekday game. Cincinnati Reds at The Great American Ball Park day game/Chicago White Sox at Us Cellular Field night game. I paid for a premium parking spot that saw me blast out front of the traffic in Cincinnati. I caught a 5:40 Flight that landed in Chicago at 6:00PM because of the time change crossover. A cab ride enabled me to make it to the park 2 minutes before the 7:11 PM Start time. I was helped out by a rain delay once I walked into the park which helped me gain the necessary evidence I made it on time. New York Mets at Citi Field day game/Philadelphia Phillies at Citizens Bank Ball Park night game. The 12 PM start time in New York was ideal for this DH. The 7 line train took me all the way to New York Penn Station. I took a 75 minute express train to Philadelphia’s 30th Street Station. My brother picked me up and we were at ‘CBP’ 20 minutes later. Cleveland Indians at Progressive Field day game/Kansas City Royals at Kauffman Stadium night game. I used the 12 PM game in Cleveland, plus a great light rail train all the way to Cleveland’s Airport. I caught a 4:50 plan that arrived in Kansas City at 6PM. I had a $50 sedan service take me all the way to the park. The driver actually had a security guard move a blockade in order to for me to be dropped off at the front door. I made a Los Angeles Angels and Dodgers doubleheader to complete the DH portion of the streaks. I will be writing a lot of blogs on this subject. I will be posting a Doubleheaders Master Schedule on my website in March. There will be every plausible scenario listed. Also look for my future blogs about travel tips. 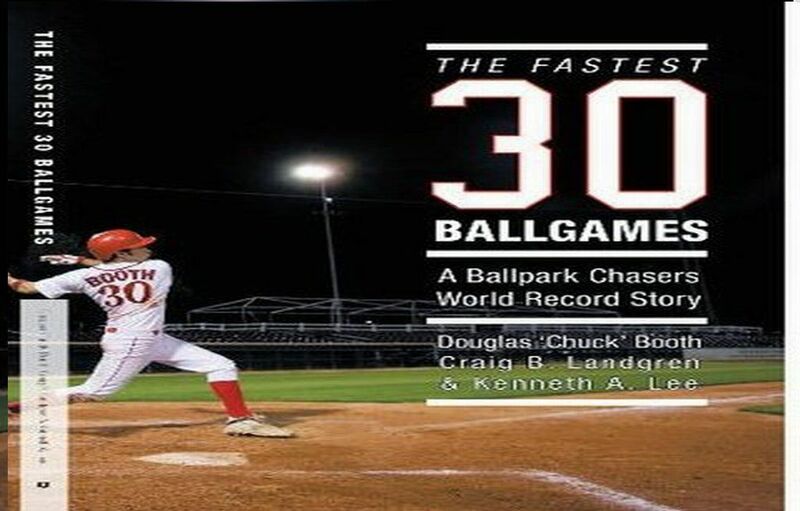 All of the best information can also be attained from my book ‘The Fastest Thirty Ballgames.’ The links to buy are also listed at my website below. 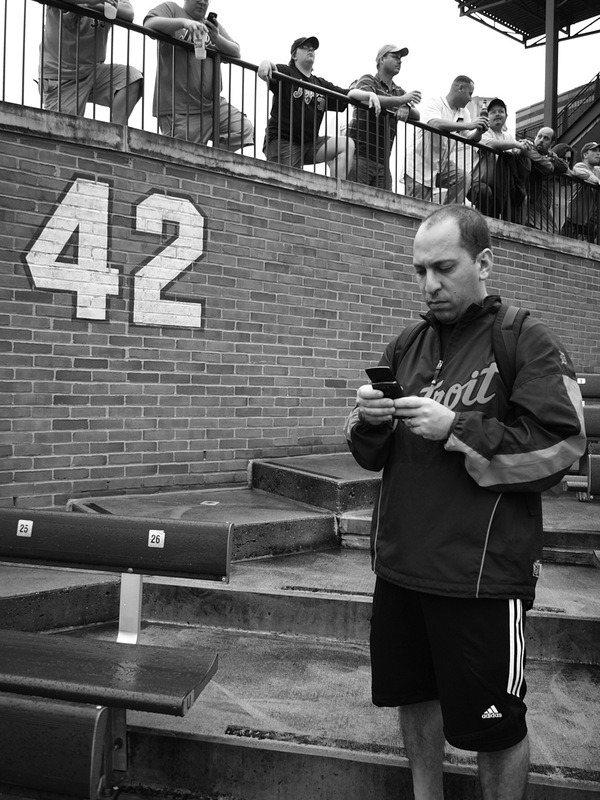 MLB reports – Jonathan Hacohen: For our final feature of 2011, we have the privilege of interviewing the person behind one of our favorite baseball programs. Royce Dickerson was very kind to join us to chat a little baseball today. 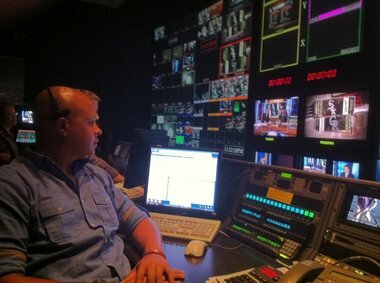 As Associate Producer of Baseball Tonight, Royce is very busy at ESPN in putting together the content and production of the hit baseball show. In broadcasting terms, Royce has hit the jackpot. After learning about Royce, I wondered how a former Mariners draft pick rose to the ranks of ESPN programming. My gut told me that this was an important baseball story that must be shared with our readers. Get to know Royce as you read his baseball tale: from the MLB draft, university, Indy ball and all the way up the ranks to ESPN. Royce has a success story that many people work towards. 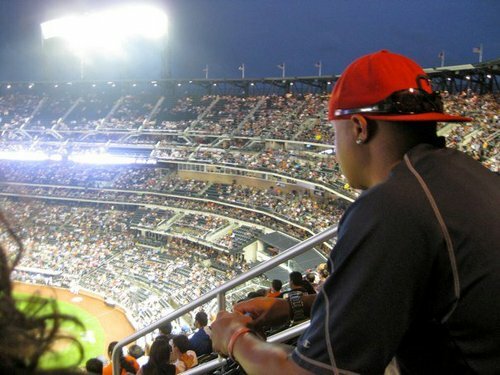 Baseball dreams do come true- Royce Dickerson is living proof of that. Have you ever wondered how baseball highlights and programming gets to your television set? We introduce you today to one of the key players behind the scenes who makes that happen. It may not always be glamorous and the career definitely translates to countless hours and immense hard work. But at the end day, there is nothing else on this earth that Royce Dickerson would rather be doing for a living. MLB reports: Welcome to MLB reports Royce. First question: You were drafted by the Mariners in 2002 out of high school. What was the first thought that went through your mind when you got the call? Royce Dickerson: I was 18 when I got drafted and I remember I was driving around town running errands because I had a summer league game that night and wanted to get some stuff done. I didn’t actually believe it when I got the call cause I was still coming off an ACL, MCL tear and I wasn’t completely healthy yet. When I tore my knee up I thought that there was no way that I would be drafted. Once that call came it took a few minutes to sink in and I was elated. I immediately called my dad and mom and told them and they were just as excited as I was. It was something that I will always remember as one of the best accomplishments in my life. MLB reports: You ended up choosing to go to school over playing professional baseball. Was it a difficult decision? Looking back, would you have made the same choice? Royce Dickerson: It wasn’t too hard of a decision at the time. I was drafted in the 27th round and there wasn’t a lot of money in that late of a round and I wasn’t completely healthy. I thought at the time it was in my best interest to go to school and try to improve my draft stock in college and hopefully become a higher round pick after my junior year. Looking back it was the right choice. I didn’t want to go into pro ball not 100% on a knee that wasn’t completely healed yet. I would have been at a dis-advantage right away with the limitations of my knee, even though I had played a full high school season and started playing summer ball. MLB reports: How did you enjoy Western Michigan University? What did you study? Royce Dickerson: I loved Western Michigan. Its home to me and I had known then Head Coach Fred Decker for a very long time so it was a very easy decision for me to sign with Western. My dad played football at WMU in the 70’s and my mother went there as well. Being a second generation athlete at Western was awesome, its something that my dad and I will have with us for our entire lives. I was born to be a Bronco and I loved every minute of it. While in school I studied Journalism. I went into school knowing that I wanted to do something in that field of work. MLB reports: When you completed university, tell us about your experience playing indy ball. Royce Dickerson: Indy ball was great, it was a chance to play baseball and get paid to do it. Being in a small town and playing in front of 5,000 fans every night was amazing. We were treated like celebs in Traverse City and the organization took great care of us. I know a lot of players complain about the long bus rides and low pay but at the same time it was a chance to play professional baseball and a chance to meet and see a lot of new things. I wish I could’ve done it longer but there came a time where I realized that I had to start my other life and the dream of playing in the big leagues had to stop. MLB reports: Was it always your plan to play professional baseball growing up- or did you have a different plan for life? Royce Dickerson: It was baseball from the beginning for me. I was in love with the game from day one. There was a time when I thought that I was a football player and then sometime around 8th or 9th grade I realized that I was really good at baseball and I shifted a lot of my focus to baseball while playing basketball and football. MLB reports: How did you get your start in broadcasting? Royce Dickerson: I got my start in high school actually. I took a Broadcast Journalism class in high school and that pretty much settled it when I took that class. From then on I got an internship at WWMT News Channel 3 in the sports department and learned about producing Sports TV from the Sports Director at the station, Ed Kengerski. He taught me so much and to this day I still credit him for giving me the producing gene. MLB reports: What brought you to ESPN? That is the big leagues of televised sports! Royce Dickerson: Shortly after I retired from indy ball I was looking for jobs at ESPN and other sports media outlets. After not being able to find a job anywhere my dad called a college friend of his who works at ESPN and he got my resume on the right persons desk. Three weeks after that I interviewed at ESPN and a month after the interview I started my career at ESPN. 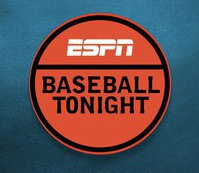 MLB reports: How long have you been at ESPN and how has your role developed since you started? Royce Dickerson: I have been at ESPN for 3 ½ years now. I started out as a Production Assistant cutting high-lights for SportsCenter, Baseball Tonight and other shows for the network. I also performed other tasks such as overseeing the non High-Light related video for SportsCenter and ESPNews. After about a year at ESPN, I was lucky enough to be staffed on Baseball Tonight at the start of the 2009 season as a Production Assistant on the show. I worked on the show everyday for the entire season cutting Analysis tapes for the Analysts, Web Gems as well as producing the Graphics for the show. Early in 2011 I was promoted to Associate Producer and the role changed quite a bit. With the new title I was now responsible for Producing Television content for the show. I produce the Baseball Tonight Extra that airs within SportsCenter during the baseball season, Baseball Tonight segments that air within the morning SportsCenter that looks back on the previous day or look forward to the upcoming night of baseball, as well as all highlight segments that air on ESPN.com. At the end of the year I was provided the opportunity to produce an entire Baseball Tonight on my own with the oversight of our Coordinating Producer. In the 3 ½ years that I have been here, my role has completely changed and will continue to change moving into 2012. 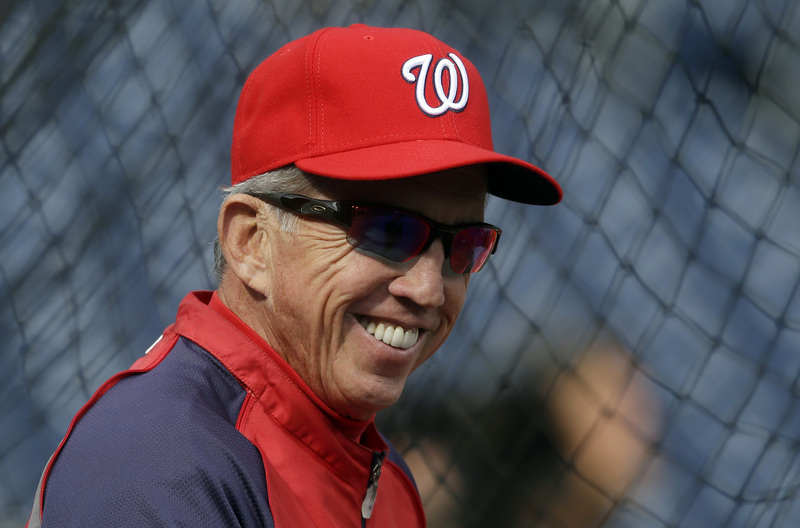 MLB reports: Biggest names that you have worked with in the baseball world? Royce Dickerson: I am lucky enough to work with some great people at ESPN. I have worked with former players such as Hall of Famer Dave Winfield, future Hall of Famer Barry Larkin, Bobby Valentine, John Kruk, Curt Schilling, Rick Sutcliffe, Orel Hershiser, Aaron Boone, Chris Singleton and recently I produced Terry Francona at the 2011 Baseball Winter Meetings. MLB reports: Biggest sporting moment that you got to cover? Royce Dickerson: I’ve been fortunate enough to cover three World Series to this point, three all-star games, I was working on the last night of the 2011 season in Baltimore on that crazy day where the Red Sox lost to the Orioles and the Rays won the Wild Card. But the biggest moment so far that stands out to me happened about three weeks ago, when we were at the Winter Meetings and I was the producer when the Albert Pujols to the Angels news broke. We had a segment all planned out and three minutes before we were going live on SportsCenter from Dallas, we got word that Pujols had agreed with the Angels. For me to be the producer when the biggest name in the game changed teams and covering that moment was something that I will always remember and to this point has been the highlight of my career to be the producer for ESPN when Albert Pujols left the St. Louis Cardinals for the Angels. 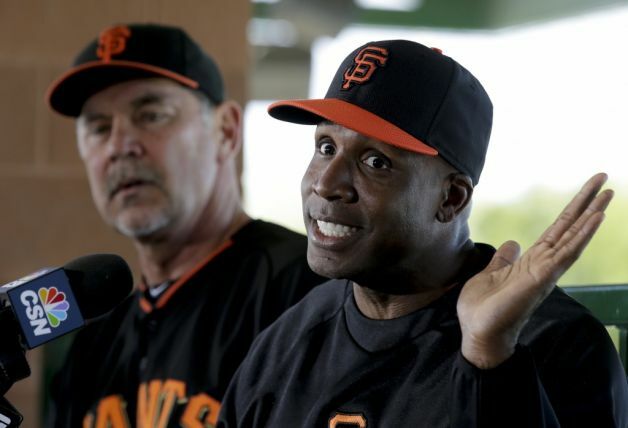 MLB reports: Do you ever see yourself taking a different role in baseball, perhaps coaching? Royce Dickerson: There was a time when I couldn’t find a job that I thought about becoming a grad assistant at a school and get started in coaching. It was never a passion of mine but I thought it was something that I could be really good at and it gave me a chance to stay in the game. Coaching is something that I would’ve love to have done but once I got the call from ESPN, that avenue was no longer an option. MLB reports: What is a typical day for you like working in ESPN? Royce Dickerson: I love my job cause everyday is different. I go into work everyday around 4pm and start getting prepared for our 4:30p.m. ET production meeting where we sit down with the entire show staff and lay out the day, talk about the biggest games, big storylines, news of the day, what the analysts at thinking about and looking forward too and just start setting the table for that day. From that point the producers and the other associate producers on the show attempt to figure out the best course of action for the show that night and assignments are handed out. On days that I am the segment producer for the show I am responsible for producing the BBTN Extra and all of the other segments that are requested for our group. When I produce segments we all sit in a room with the analyst and anchor and watch games and let our show develop during the night. Picking what game to lead the show with, what storylines we find in games and put a great show on TV that night for baseball fans. On days I don’t produce segments I cut the breakdown tapes for the analysts. I watch games, go to the analysts with ideas about what we can show on the tape or some night ill cut Web Gems for the show among other elements that are seen during the night. The days are long cause we don’t leave till all the games are over so we can react to anything. That means staying at work till that 10:15p.m. ET Padres vs Giants game ends at 2:00a.m. or later. MLB reports: How many times a day do you pinch yourself knowing that you have a dream job for so many sports fans? Royce Dickerson: There are definitely those times when that happens. I am lucky to get to go a lot of places and see a lot of awesome things. There is nothing like being getting to cover the game for the national media and just being around the people that I get to work with on a daily basis. MLB reports: Where do you see yourself in five years from now? Royce Dickerson: In five years I see myself being a full-out producer for ESPN. Whether that means covering Baseball or Producing SportsCenter for the Network, I don’t see myself leaving ESPN anytime soon. It’s a great place to work and I am lucky enough to get to watch sports and report it for a living. MLB reports: Final question: What is the future of sports broadcasting? What changes do you foresee over time? Royce Dickerson: It’s a rapidly changing field in which something can and will change at any moment. I do however feel good working for a company such as ESPN. We are always looking at ways to make our product more viewer friendly and enhance their experience in watching our shows and that is something that will never change.